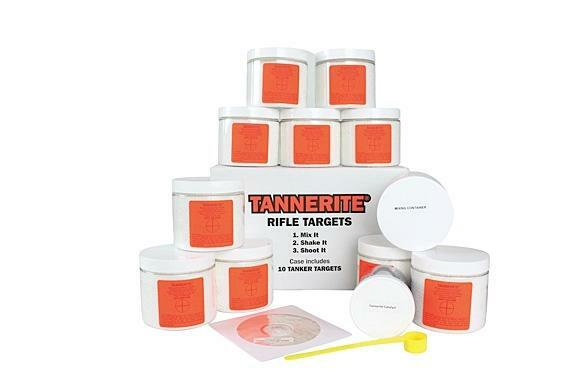 Non-hazardous Tannerite is for use in long range target practice and will only detonate when shot by a high-powered rifle, producing a large explosion and cloud of water vapor. For those who live by the "bigger is better" philosophy, this package is a case of ten 1-pound "Tanker" binary exploding targets. It includes the catalyst, measuring scoop, mixing container, written instructions and an instructional DVD.